One of the most important parts of your wedding day is your wedding dress. With recent campaigns to reduce the negative impact of fast fashion and its devastating effect on the environment, you may be concerned about how ethical and sustainable wedding dresses actually are. As a one-time only dress, it may feel like an extravagant, wasteful purchase or you may not have even thought about this before – and that’s okay. The first and best step is always awareness so that you are able to make your own informed decision about what you purchase and wear. 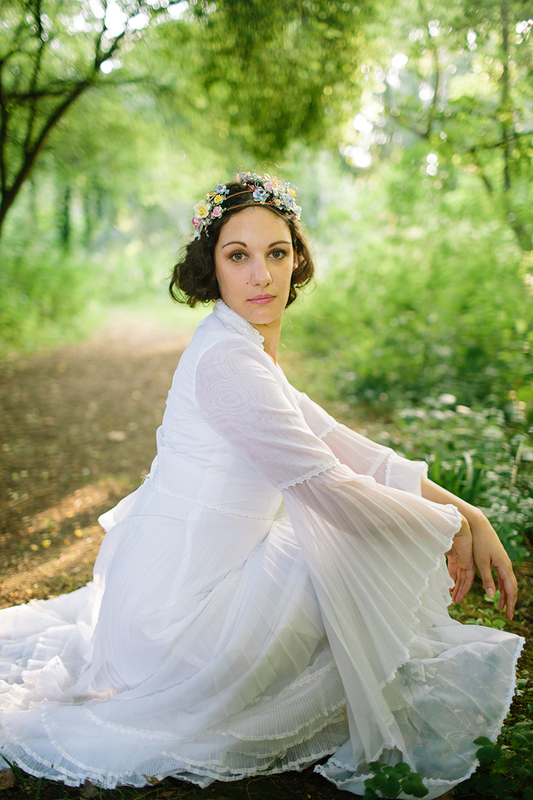 Having a more ethical wedding dress that is sustainable too, is easier than you think and there are several routes that you can consider. 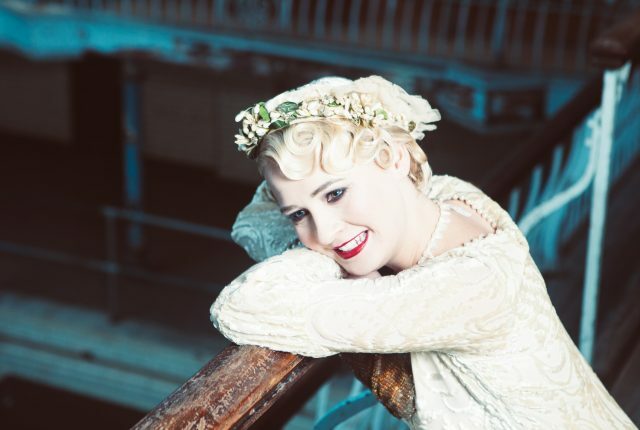 In this blog post, Clare Szabo, the founder and designer at River Elliot Bridal will explain some of the negative impacts that the fashion, therefore the wedding dress industry can have on our planet, as well as sharing how vintage wedding dresses, second-hand and repurposed wedding dresses can be a more ethical choice. In part 2, she will discuss the custom made wedding dress and how bespoke can and cannot be ethical. What are the negative effects of ready to wear bridal fashion? Typically, bridal retail chains or boutiques buy their dresses from factory-based manufacturers overseas. However, to really appreciate how ethical your wedding dress is, you need to think beyond the dress and more about its whole supply chain – from cultivation and production of fibres to garment construction. To produce textiles, a large amount of resources is required such as staggering volumes of water and energy. Aside from bridal, even just a basic cotton t-shirt uses 2,700 litres of water in its production. Additionally, textile manufacturers need to use various chemicals and dyes in order to produce and treat the fabric or to add certain features. Sadly, mills within some of the world’s largest textile industries, for example those in China and India, are dumping their waste from the dyeing process into local fresh water supplies, causing irreversible damage to marine life and human health. One of the largest culprits in the textile industry is the production of polyester. Unfortunately, with the average wedding costing thousands of pounds, more and more wedding dresses are appearing at cheaper prices (even under £500) because synthetic polyester is a quick and low-cost fibre to produce. However, it’s a form of plastic derived from fossil fuels and it requires double the amount of energy that is required to produce cotton. Therefore, while these seemingly affordable wedding dresses cost the buyer little, they often come at a high price to the environment. Fossil fuels, which emit high levels of CO2 when burned, warm the atmosphere to trigger climate change and rising sea levels. So, before your wedding dress has even been designed and stitched together, it has already racked up a rather large trail of pollution and a sizeable environmental footprint. Silk is made from natural fibres, but that doesn’t mean it’s eco-friendly or ethical. For example, before your silk wedding dress is made, the material needs to be harvested from silk worms. The worms are cultivated by feeding on mulberry bushes until they are ready to form their cocoons. After that, the moth is boiled alive inside its home, and the cocoon’s fibres are then harvested before being woven into a spinning reel. The whole process requires a large amount of water and fertilisers, which is why silk production also has a relatively large environmental footprint. With silk mainly made in China, India, and the US, it then needs to be transported to a garment factory – often in another country – before it makes its way to its country of sale, producing further carbon emissions. On top of the environmental effects of textile production is the impact on the industry’s workers, who often work for unfair wages and in appalling conditions that exposes them to unsafe chemicals that can affect their skin and respiratory systems. But it’s not all doom and gloom with regards to bridal fabric. Sustainable, ethical, and cruelty-free alternatives do exist and new materials continue to be developed, but I will be touching upon those in my follow-up blog post. But for now, I’ll address how you can shop more mindfully without buying something new. 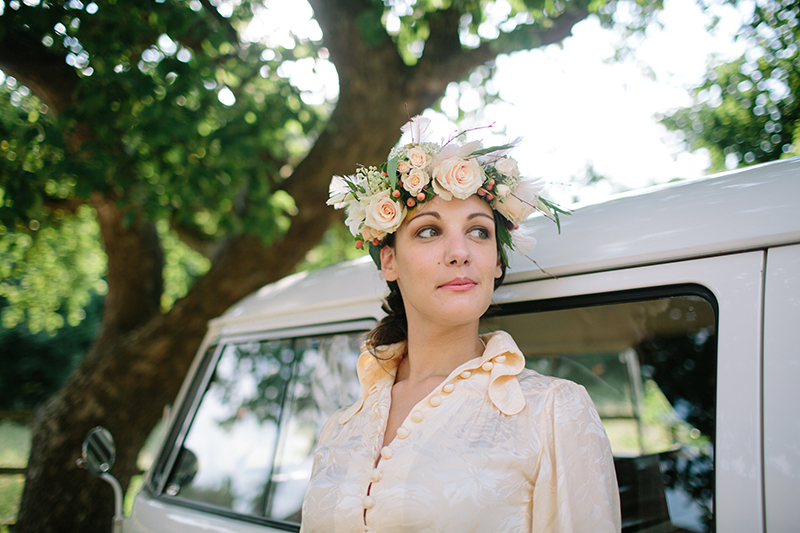 Choosing to wear a vintage wedding dress is one of the best ways to ensure your wedding dress is ethical. In stark contrast to a brand new dress, buying a vintage wedding dress in will cause minimal damage socially or environmentally. At most, the carbon footprint of a vintage wedding dress may come from its transportation depending on where it has been found and sorted. This could be minimal if it’s come from local donations or house clearances. Although a vintage wedding dress has already been through a production cycle of its own (back in its original era), it will not cause anymore damage apart from the very tiny requirements of ironing or steaming, or transport. There are many places to hunt for good quality vintage wedding dresses. Firstly, you may be lucky enough to find a genuine vintage bridal gown in your local charity shop. You should be able to tell its age from its style as well as its construction, or the staff may have already done their research and labelled this on the tag. Various guides online will help you identify a dress and its age. Secondly, always have a look on eBay for vintage clothing sellers who may be selling retro pieces. Sellers should be able to describe age, condition and size – the only negative being you can’t try the dress on first. 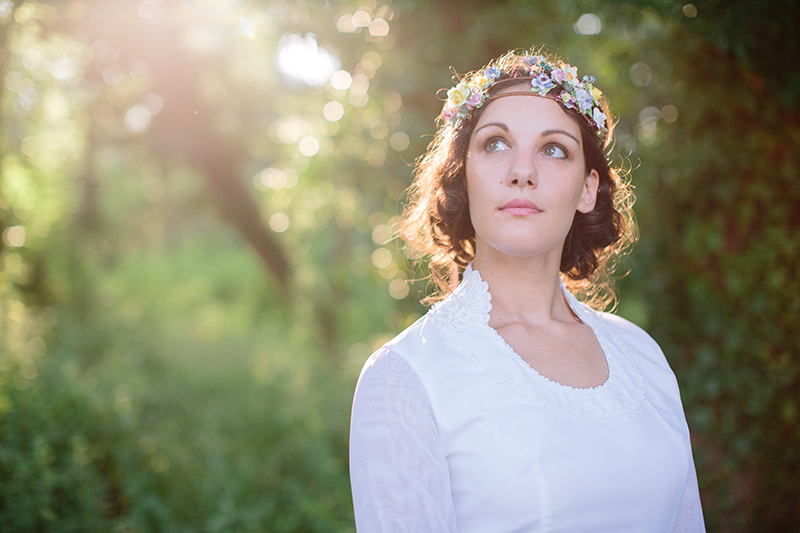 Buying a second-hand wedding dress is very different to buying a vintage bridal gown. Generally, clothes that pre-date 1920 are considered ‘antique’ while anything made between 1920-1960 is vintage. However, you could say that clothing that is 20-25 years old is now vintage, which may seem odd with regard to dresses from the 1980s and 1990s! Typically, I would say a second-hand wedding dress is now anything dated within the last 10-15 years. You will find modern, contemporary dresses that have been recently worn or have been sitting in a woman’s closet for a few years. Many are still in great condition with minimal damage or stains. Websites such as Preloved and stillwhite are excellent avenues for finding a good quality second-hand wedding dress and you’ll be able to see clear photos as well as read about the condition in full detail. 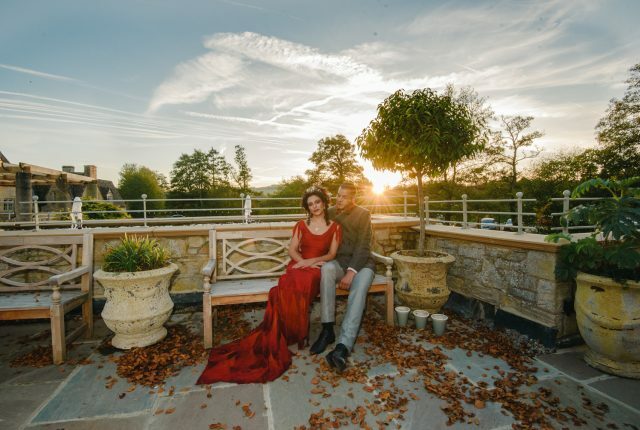 What’s nice about these sites is some sellers upload pictures of their wedding day, so it’s nice to see the dress in a real-life setting as opposed to a model. Second-hand marketplaces are definitely a great way to get the dress you want that was too expensive for your budget. There are also specialist bricks & mortar shops that sell second-hand gowns, so a search on Google is well worth the time. When searching online for second-hand dresses do bear in mind what repairs can be done. Don’t be put off if the dress you like has small areas of damage. Often, these can be repaired by yourself or a professional dressmaker, so it’s worth sending the picture for an initial appraisal or quote. A dressmaker may not be able to work miracles but a well-qualified one will be able to help you with size and length alterations, and repairs. You may never find the absolute perfect second-hand dress in terms of condition, but you can make it perfect for you. A wonderfully creative option for an ethical wedding dress is to repurpose an existing wedding dress into something new and unique. I hear from so many brides that love their mother’s or grandmother’s wedding dress but wish it was just that little bit more modern. With the help of a professional dressmaker you can redesign the dress using the fabric and trims, repurposing it into a version that’s more suitable for you. If needed, you can add additional fabric to create the right look. New fabric could be sourced from unwanted fabric remnants or even second-hand/vintage on eBay ensuring you keep your dress as ethical as possible. However, even if you do end up buying new fabric (to create a voluminous skirt, for example) you’re still reducing the impact of what an otherwise factory-made wedding dress may have caused. 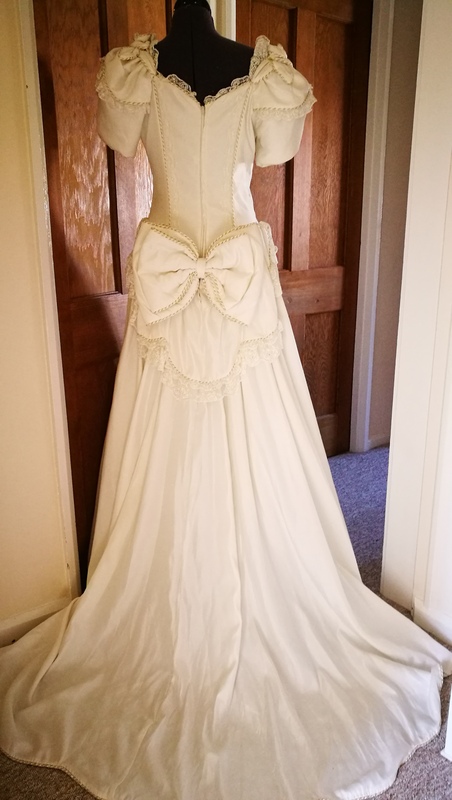 In this recent example, I refashioned a gigantic 1980s wedding dress that was struggling to be sold in my local Salvation Army. Using Meghan Markle and Givenchy as my inspiration, I transformed it into a sophisticated, minimal wedding dress with a little nod to the 1960s. Just thinking about the alternative options of buying a wedding dress is a great step to shopping more consciously. Not only are you doing some good for the planet but also you’re helping to minimise your overall wedding budget too, which is always a good thing. Sometimes, we need to change our habit of thinking that new and shiny is better. 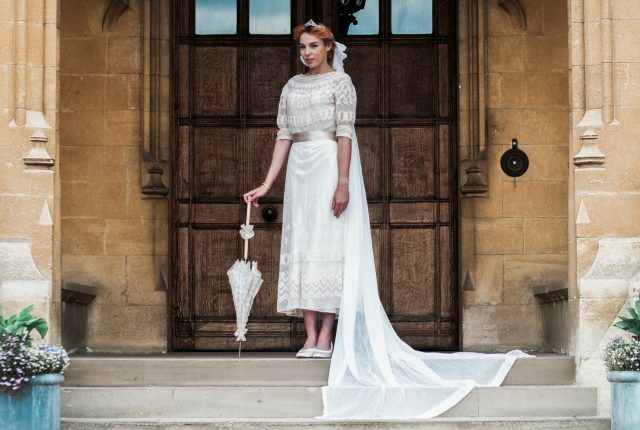 Often, preloved and vintage gives us far better options for an ethical wedding dress in the long-term without the huge cost and negative impact. 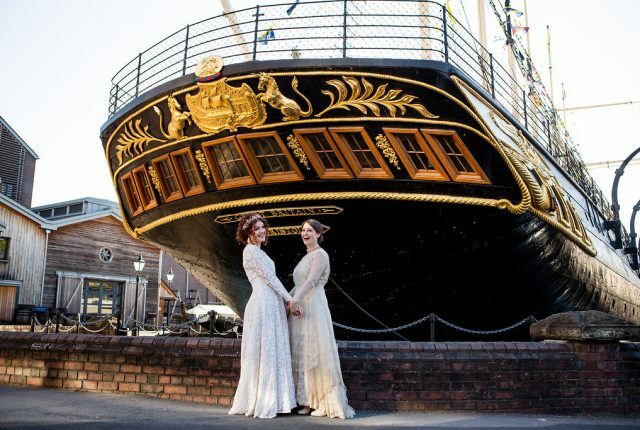 At River Elliot Bridal, I am now offering repurposing as a dedicated service to brides wishing to wear a sentimental wedding dress for their big day. If you have a family heirloom or have found a dress that you’d love modernised please get in touch for a friendly chat. 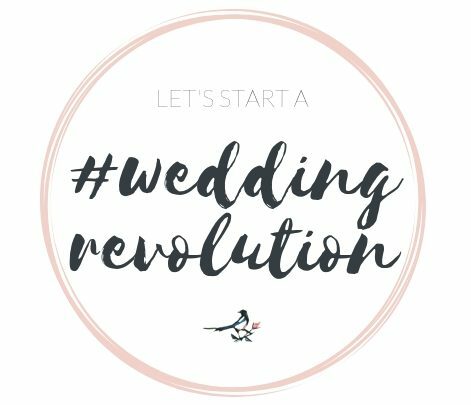 Here at Magpie Wedding, we want to start a #weddingrevolution. 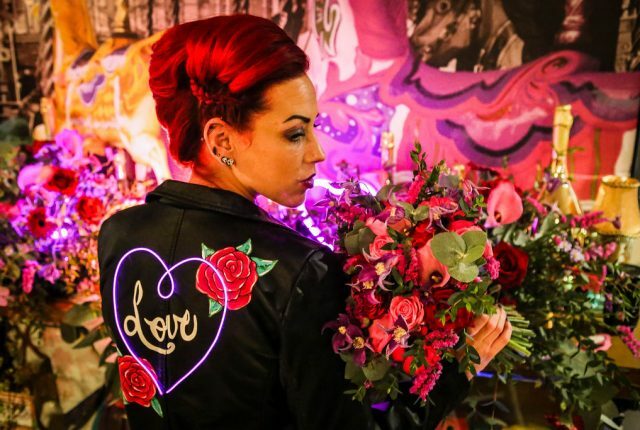 From being more ethical in your choices, to supporting homegrown talent, from choosing to be vegan where possible to encouraging everyone to be themselves on their wedding day, we want to help you make the steps needed to make a change. These can be baby steps or giant strides; either way we want to showcase ways to have an amazing wedding day that doesn’t cost the earth. 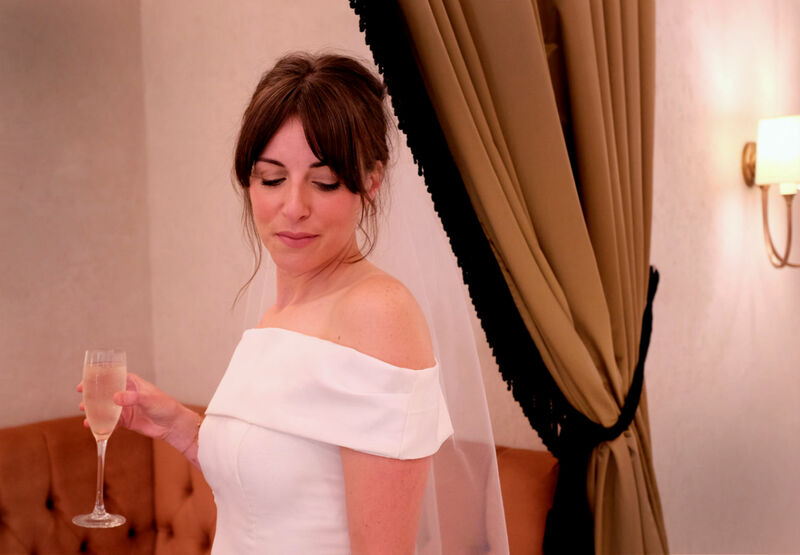 We have an amazing team lined up to help you including Clare from River Elliot Bridal who today has written this blog for us. Go check out her amazing dresses!